An Asus representative confirmed Google will announce a Nexus-branded and Asus-built 7-inch tablet at the end of the month with a sub-$250 price tag. While we can't independently confirm Android Authority's report, we do know that Google has hinted at its own tablet since December. That's when Eric Schmidt said the company would “market a tablet of the highest quality” within six months. 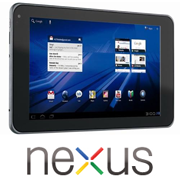 Google later showed interest in competing with budget tablets such as Amazon's Kindle Fire. In January, Asus announced the MeMo 370T, a 7-inch Android tablet with Nvidia's Tegra 3 quad-core processor inside, and promised a price tag of $250. Since then, Asus has gone quiet on the fate of the MeMo 370t, leading to rumors that it will actually form the basis for Google's tablet. Nvidia, meanwhile, has announced a reference design for sub-$200 quad-core tablets, so it's possible that a Nexus tablet would make use of this design. Google is hosting its Google IO developers conference at the end of June -- and it's a likely venue for a tablet announcement. The tablet will likely appeal to tech enthusiasts because unlike the Kindle Fire, a Nexus tablet would be able to access the full Google Play app market, and would run the latest version of Android without any modifications. As for other Asus tablets, the representative said the Transformer Pad Infinity TF700T is still on track for a late June launch. But U.S. wireless carriers have shown resistance to Asus' Padfone, a phone that docks into a tablet, because it would basically provide free tethering on the larger screen. Only AT&T is open to the idea, but negotiations are going slow, the rep said.